The 2003 Acura CL is a 2-door, 4-seat Coupe, available in 6 trims, ranging from the Type S (M6) to the Type S With Navigation System (A5). Upon introduction, the $30,550 Type S (M6) is equipped with a standard 3.2L, 6-cylinder, engine that achieves 19-mpg in the city and 28-mpg on the highway. a Manual transmission is standard. The $32,700 Type S With Navigation System (A5) is equipped with a standard 3.2L, 6-cylinder, engine that achieves 20-mpg in the city and 29-mpg on the highway. an Automatic transmission is standard. Acura is the luxury division of Honda, established in 1986 as the first of three premium brands launched by Japanese automakers. In launching Acura, Honda created the product development template that would be followed in 1990 by both Nissan’s Infiniti division and Toyota’s Lexus luxury brand. 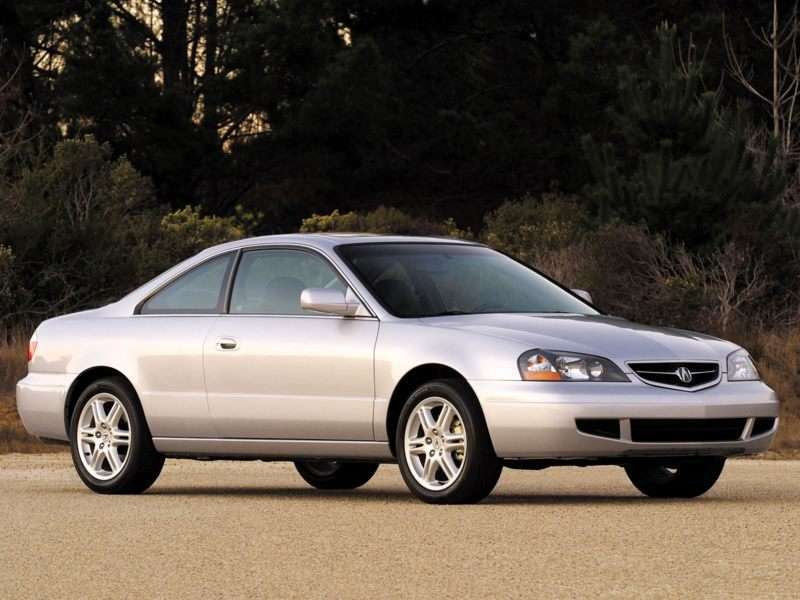 Autobytel’s archive of Acura pictures dates to the 1999 model year, and includes photos of several of the best-selling Acura models, including the iconic Integra hatchback and sedan, the popular TL sedan, and the MDX crossover SUV. We’ve also got Acura photos of the legendary NSX mid-engined sports car, and of the odd ZDX whatchamacallit. Our archives include a mix of Acura images shot in studios and beauty images sourced from the automaker. In 2007, Acura attempted to distance itself from Honda by developing its own design language. The “Keen Edge” styling themes first appeared on the redesigned 2007 MDX SUV and the 2009 TSX sedan, manifesting itself in a shield-style grille design and angular lines punctuated by round wheel arches. The look worked for the MDX, but not the TSX. See our Acura photos archive and judge for yourself. It was the 2009 Acura TL, however, that took the “Keen Edge” philosophy to an extreme. Pundits simply referred to the car’s grille as “the beak,” and TL sales plummeted. The design elements were also applied to the RDX crossover and the RL sedan, to disastrous effect. Today, as you can see in our Acura pictures, the automaker is sticking by its shield-style grille, though it is far toned down and much better integrated into the latest crop of Acura models. Acura remains heavily reliant on Honda models and platforms, in much the same way Lincoln is dependent on Ford. But this will change in the future, as Acura re-introduces the NSX sports car as its flagship model and equips many of its new vehicles with its new Sport Hybrid Super Handling All-Wheel Drive (SH-AWD) powertrain.